A unique way to personalise your photos with our personalised photo rock slate display plaques.These make a stunning personalised photo gift when your photos are imprinted onto the surface. The photo slate has natural edging imperfections making each plaque unique. Your photo will transfer onto the slate with outstanding clarity and will never fade peel or crack and look perfect for years to come. 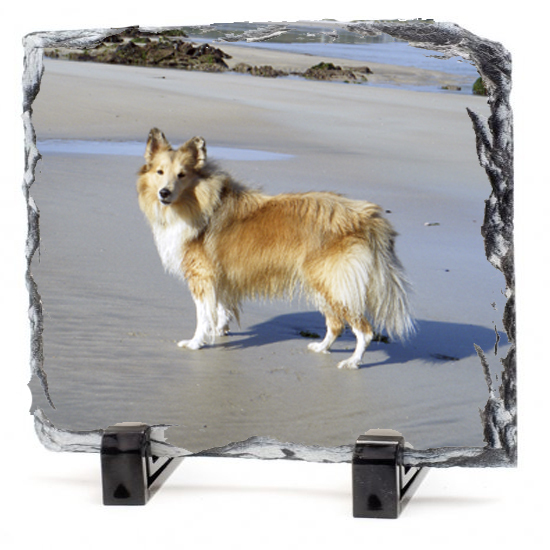 The photo slate plaques are 8x6ins and 3/8” thick, polished natural metamorphic rock, with natural edging. 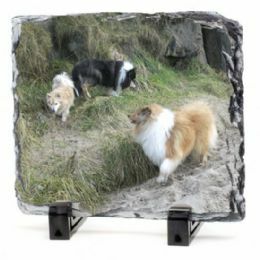 Each photo rock has a display stand and comes inside a gift box. Received my photo slate and just a quick e-mail to thank you for such a beautiful gift. Had no idea what these would look like but i am over the moon with the result, i will be ordering more soon for myself and family.